Imagine waking up from a coma, and suddenly being unable to hear. This is only the beginning of Dona’s story. In the last couple of years, Dona has faced a number of life challenges. Shortly after tragedy struck her family, Dona was given the opportunity of a CI—a gift which offered much more to her than hearing alone. Hi my name is Dona. I live in Saddleworth—a beautiful area of the United Kingdom. I’m happily married to Graham, we’ve been together for nearly 11 years. In the past couple of years we have overcome probably more hurdles than most couples have to cope with in a lifetime. Fortunately we’ve been strong enough to handle this. In September 2013, I was placed in an induced coma which lasted for 17 days. Fortunately, I was lucky and I pulled through, but I was left deafened. I had only 20% hearing in my right ear, and 0% hearing in my left. My first recollection of being deaf was actually after I’d left the critical care ward and was placed into a general ward for recovery. My husband Graham was speaking to me and I could barely hear a whisper—I couldn’t decipher what he was saying. This hearing loss was incredibly frustrating and the doctors didn’t seem to be taking me seriously. At the same time, I was incredibly weak physically. I had to re-learn to do everyday things—from making a cup of coffee to walking again. I was released from hospital and was initially given a hearing aid. Unfortunately this was horrendous and did next to nothing to solve my hearing problem. For the next year or so, I struggled with this new world of hearing loss. During this difficult time, my husband was my ears. I used to be a very independent person. This all changed with my hearing loss. One of the biggest hurdles was that I couldn’t use the telephone. My son wasn’t living at home, so I could only communicate with him via Facebook messages or via Graham. I felt like my dignity and privacy had been suddenly taken from me. I had to ask my husband to do everything for me, and I sometimes lost control of my emotions. I felt completely alienated from society and I was frightened to go out. It was then mentioned to me that I might be a candidate for a cochlear implant. To be honest, I had never heard of a CI before. When I was first told I was a CI candidate, I thought “WHOOPEE!”, I couldn’t wait to be able to hear again. My family was very supportive of me receiving a CI—they wanted me back as me! Then came January 2015, when my husband and I were thrown into another incredibly challenging life journey. Our 18-year-old son Jack was sadly taken from us in an accident while he was walking to college. The coroner confirmed he was listening to music through his headphones and was hit by a lorry truck he didn’t hear coming. Losing our son Jack motivated us to create a charity for parents who experience a sudden loss of a child—the Jack Taran Foundation. Together with my husband, we created a Road Safety Video that includes the dangers of using headphones and mobiles around traffic, which has been viewed worldwide. My husband and I also began to give personal talks to students about the dangers. This was a challenge in itself as I didn’t yet have my cochlear implant, and so I was struggling with my hearing loss. My confidence had gone, but I got through it because I was so focused on making others aware of our campaign. After many hearing tests I was finally given the go ahead for getting the cochlear implant, and in July 2015 I had my operation. In August 2015 I had my MED-EL SONNET audio processor switched on. WOW—what a difference it made straight away. I could immediately hear again. Although initially everything sounded a little like chipmunks talking, it was fantastic just to be able to hear anything. In fact, on activation day, I listened to Spandau Ballet, a music band from the 1980’s on YouTube. I could make out the words, and then my brain registered and connected the rest. This was amazing as I thought I’d never be able to listen and enjoy music again. I do have to add though that enjoying music fully does require practice! Our son Jack was an organ donor and he helped to save five lives. In February 2016 I got in contact with the recipient of Jack’s heart, Den. The one sad thing is that, due to my hearing loss, I couldn’t hear Jack’s heart at the end of his life. This had always played on my mind and I wished more than anything that this could have been possible. It was on my 50th birthday in April this year when my husband and I finally met Den in person. This was the day I had been given a second chance, made possible with my CI. We arranged for a friend of mine who was a nurse to bring a medical machine with her which would enable me to listen to Jack’s heartbeat. As you can imagine it was a very emotional day for all of us, but most of all for me as Jack’s mum. I could hear his heart beating clearly and loudly with the Doppler, and I could even hear his heart beat without the machine when I leant my ear on Den’s chest. 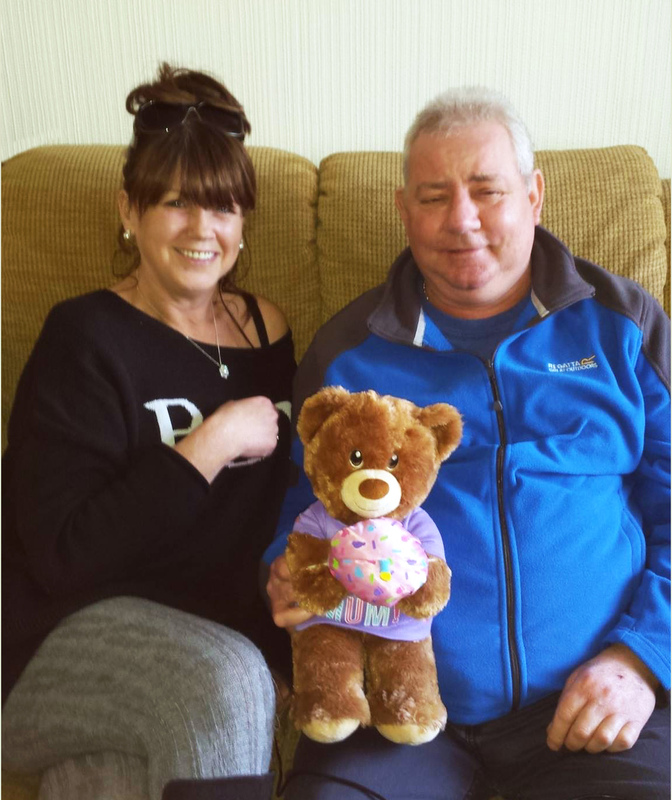 Den and his daughter recorded the sound of the heartbeat and placed it inside a special teddy bear—one of my most treasured possessions. I can now hear Jack’s heartbeat whenever I like, which brings me great comfort. My CI has brought me great joy in the last 15 months. In August this year, my husband and I attended a “Yanks Weekend” in a local village, which is a 1940’s festival celebrating everything from that era including music and clothes. Since losing my hearing from the coma, I had avoided this festival as I thought all the sounds and noise would be too much for me, and my husband didn’t want to go without me. This year however, thanks to my CI, I could hear and comprehend the music and lyrics so well that my husband and I actually got up and danced together! This was something wonderful that I had missed out on since my coma. I now continue to do awareness talks and visit schools, which a CI has made a lot easier. I meet and speak to other parents who are going through what we went through, and offer emotional and financial help to these people. I only wish that we had had something like this when we lost Jack—and this is what motivated me to keep Jack’s memory alive through the charity. Thank you for sharing your story, Dona! Subscribe to the MED-EL Blog by entering your email below to get guest stories sent straight to your inbox weekly!